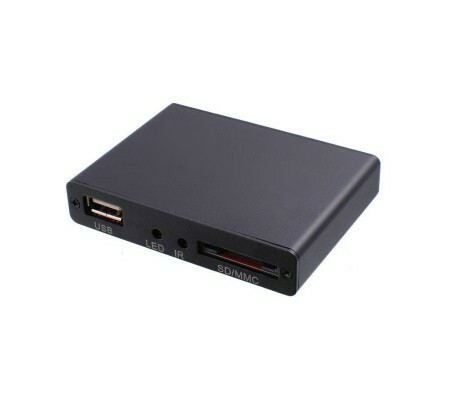 ADPLAYER-110HD cheap ad player box - Buy advertising player for digital signage at low price. 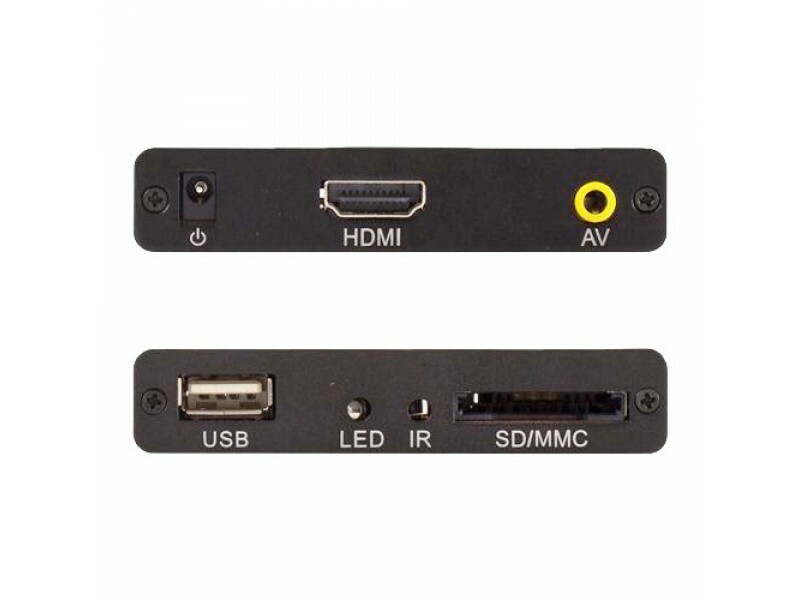 ADPLAYER-110HD is the Full HD digital signage player for commercial use and automatic videos and pictures demonstration on advertising monitors, electronic menus, and displays. It is also used in video racks for displaying video ads on the monitors in the transport. Special skills are not required. 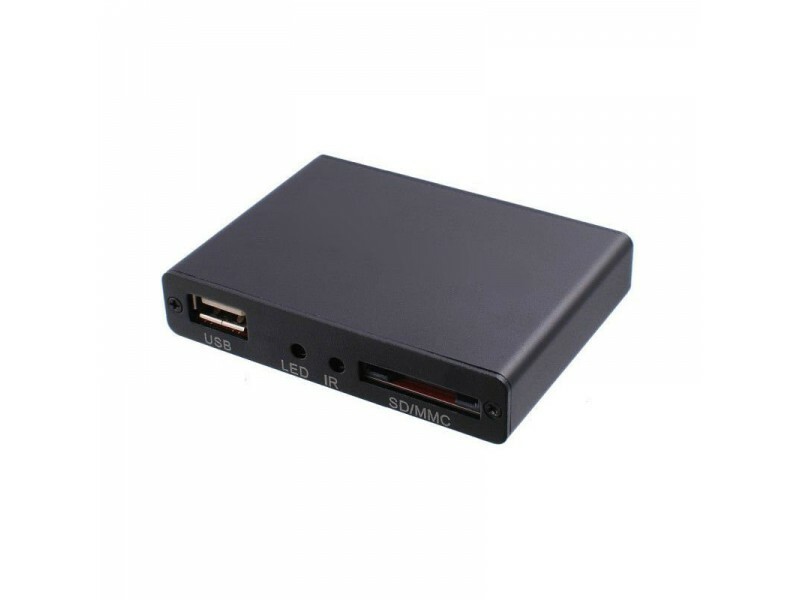 This model is cheap HD digital signage player for advertising on TV at shopping malls, travel agencies, clubs and cafes. 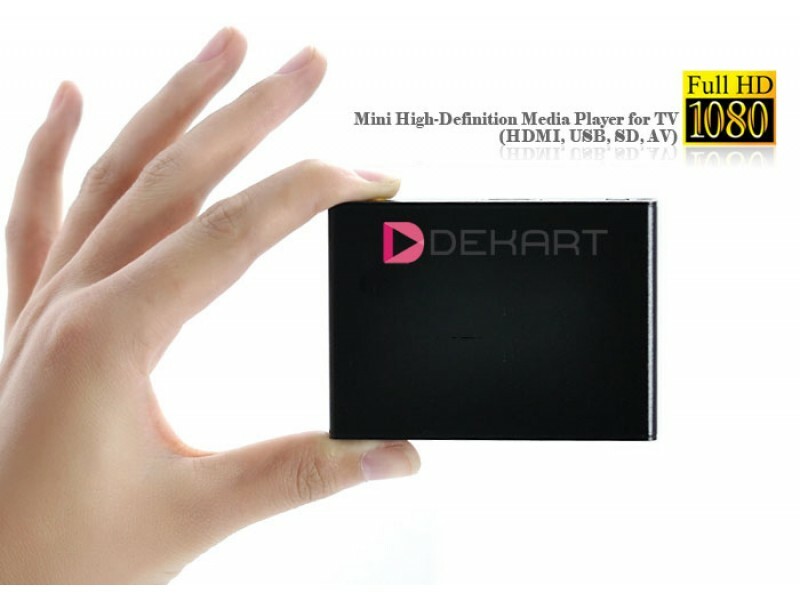 When connected to TV or monitor, display will show video with promotional offers, movies, advertisements, schedules, and presentations. 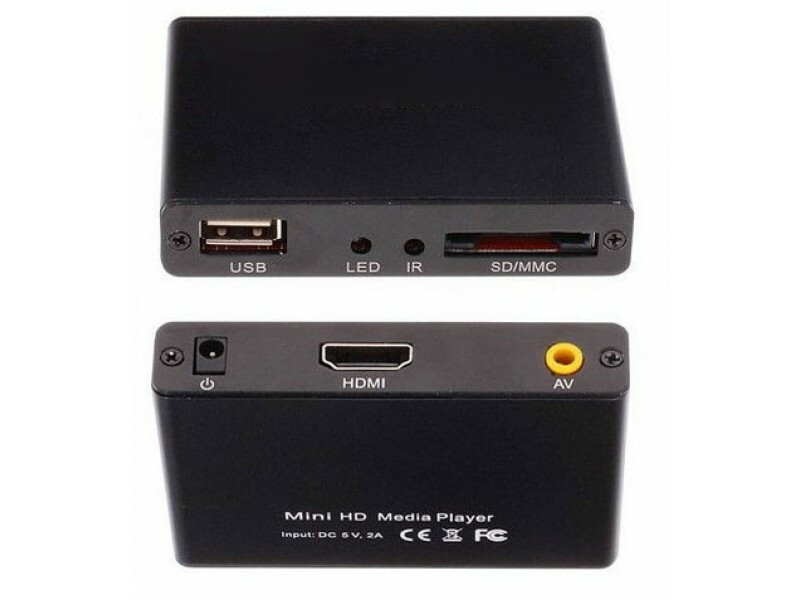 ADPLAYER-110HD connects easily to TVs and monitors via HDMI or AV interfaces, turning TVs into Digital Signage system. 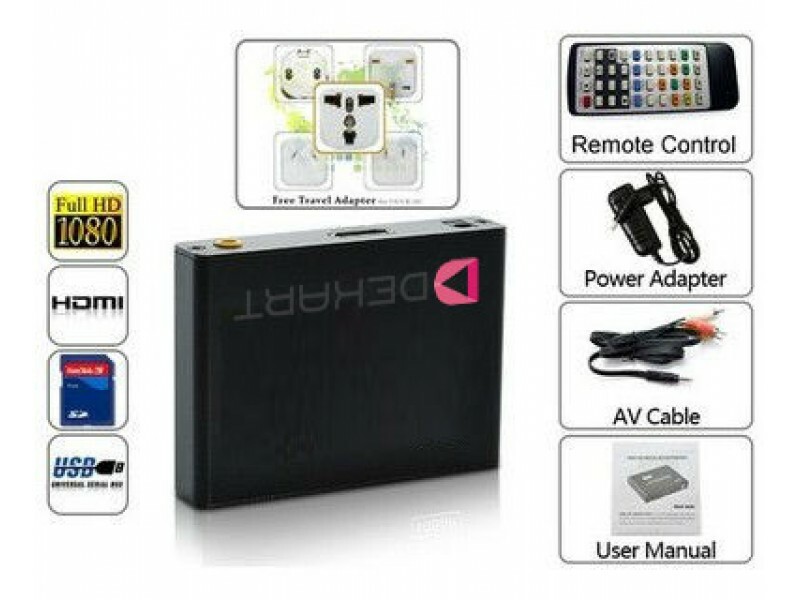 This offline Full HD advertising player is fairly cheap and quickly pays for itself. 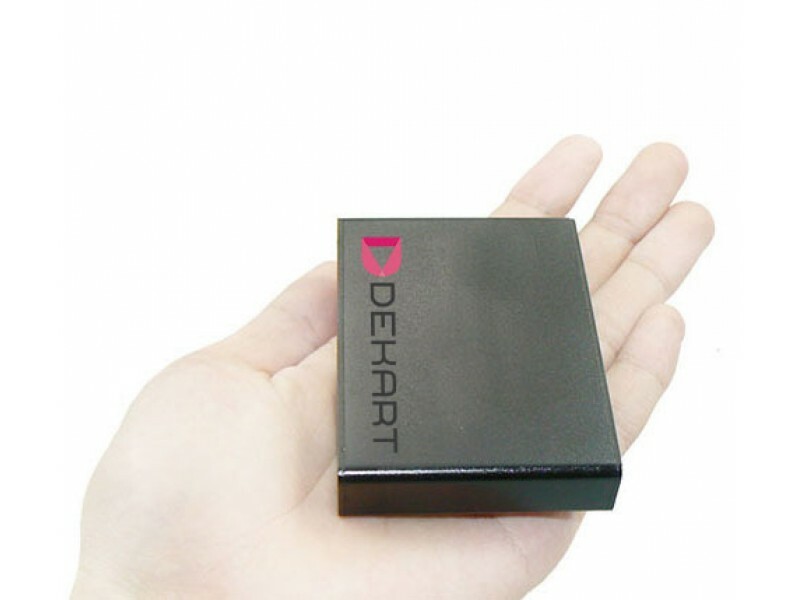 This device allows to reduce the cost of bulky and expensive network advertising digital signage system. If you don't need digital signage advertising player with Internet management, ADPLAYER-110HD – optimal and reliable solution. Its body is made of metal and can be painted in various colors that allows you to choose a good model for interior design. The player has low energy consumption, dust-proof, and designed to work around the clock without interruption up to 7-10 years.